When you are designing database for an application, there can be 3 core levels at which you can design your database. 1. Conceptual Level: At this level you are only aware of high level entities and their relationships. For example you know that you have “Employee” Entity who “works for” a “Department” and “has” an “Address”. You are not worried about details. 2. Logical Level: You try to add as much details as possible, without worrying about how it will actually be converted to a physical database structure. So will provide any attributes for “Employee” i.e. 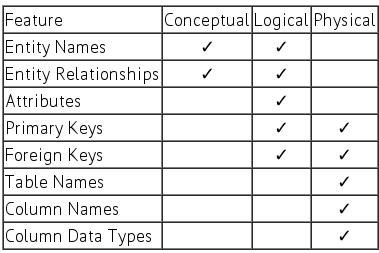 Id, FirstName, LastName, AddressId, Salary and define primary and foreign key relations. 3. Physical Level: This is the actual representation of your database design with exact column names, types etc. This entry was posted in DBMS, Design, System Design and documentation and tagged Architecture, Databases, Design on January 18, 2017 by admin.